Last Wednesday, Facebook’s shares hit an all-time high, resulting in the social network being valued at over US$150 billion. Facebook’s chief operations officer Sheryl Sandberg also saw her personal fortunes increased to well over US$1 billion with Facebook shares words over US$700 million. While the market has responded favourably to Facebook’s fortunes, the speculation that Facebook was readying a Flipboard clone have finally come true have finally come true, with the launch of its Paper App. The standalone application, is essentially a news curation app, that will be launched on 3 February. It will aggregate news stories, videos and photos from Facebook’s news feed. The layout will be displayed on a customisable picture leading grid. It has support for content supplied by partner publications, but the fact that it will include features from the original Facebook app, makes one wonder is Facebook slowly planning to kill off the original application? Facebook slyly commented it won’t be heavily promoting Paper within its original app, but it is positioned as a disruptive threat to other news reader apps like Flipboard, Prismatic and LinkedIn Pulse. Each has its USPs. Flipboard has magazines curated by other users, while Prismatic relies on artificial intelligence to provide the most relevant articles. Facebook’s ace in its sleeve could be the data on what people share. Bear in mind some of Facebook’s standalone apps like Camera and Poke have bombed miserably. Even Zuckerberg says Poke was a joke. It will be interesting to see what public sentiment will be in the coming weeks. Paper is the first product to come out of Facebook Creative Labs, a unit within the company tasked to “innovate and build new things.” That’s likely a sign that Paper will be just one of what CEO Mark Zuckerberg called “new and engaging types of mobile experiences”. Since its embarrassing Snapchat clone called Poke failed, Facebook seems closer to figuring out the right formula for its single-use apps. Facebook knows that mobile users are gravitating towards such apps, and it intends to create more of them. Earlier this week, Re/code reported that the social network was looking to improve its human curation efforts by hiring more editors. These new hires would be responsible for finding passionate and talented professionals within each topic to share their knowledge. “Paper makes storytelling more beautiful with an immersive design and fullscreen, distraction-free layouts. 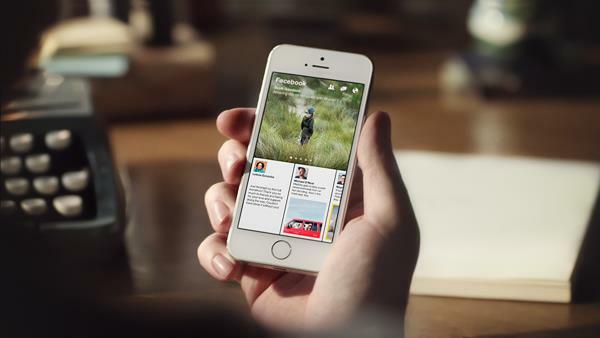 We’ve also made it easier to craft and share beautiful stories of your own,” Facebook said in a blog post. The app will launch in the United States on February 3, 2014 only on IOS. No love for android users just yet. No word yet as to when it will become available globally.